The Murray State University Freethinkers brought Jerry Coyne to Murray State University on November 21, 2013. 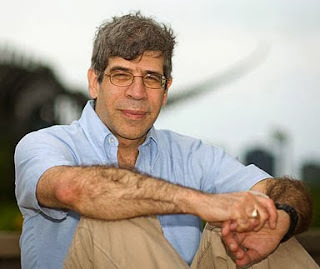 He is famous for writing the book " Why Evolution is true". After research on his book, it was easy to find that like all evolutionists his book is riddled with inconsistencies and his worldview fails to account for creation. “There is no God.”They are corrupt, their deeds are vile; there is no one who does good".